In the fall of 2010, in the all-American town of Apple Valley, Ohio, four people disappeared without a trace: Stephanie Sprang; her friend, Tina Maynard; and Tina's two children, thirteen-year-old Sarah and eleven-year-old Kody. Investigators began scouring the area, yet despite an extensive search, no signs of the missing people were discovered. On the fourth day of the search, evidence trickled in about neighborhood 'weirdo' Matthew Hoffman. 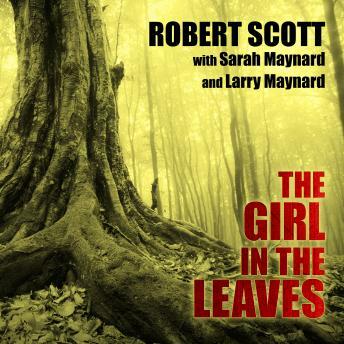 A police SWAT team raided his home and found an extremely disturbing sight: every square inch of the place was filled with leaves and a terrified Sarah Maynard was bound up in the middle of it like some sort of perverted autumn tableau. But there was no trace of the others. Then came Hoffman's confession to an unspeakable crime that went beyond murder and defied all reason. His tale of evil would make Sarah's survival and rescue all the more astonishing-a compelling tribute to a young girl's resilience and courage and to her fierce determination to reclaim her life in the wake of unimaginable wickedness.